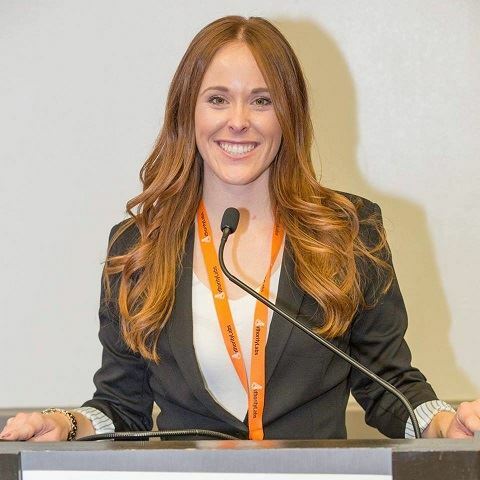 Please join us on Tuesday, November 13, in the Heritage Room at BridgePort BrewPub as we welcome Ashley Ward, Corporate Speaker at SEMrush who will be presenting "Reusable Content: How to Extend the Life of Your Content". Creating content that can be reused is an effective way to extend the life of your content, increase it’s views, and reach your content marketing goals. In this session, we will look at the different ways businesses have reused content and the results that have stemmed from doing so. Once you’ve gained a deeper understanding of reusable content strategies, we’ll then analyze how to measure the effectiveness of this recycled content and which tools will best help us find ROI. Ashley Ward is a Corporate Speaker for SEMrush, the most comprehensive business intelligence platform for digital marketing. Her passion is focused on helping businesses and marketing professionals gain long term ROI through teaching content marketing and social media marketing tips and tricks. With over seven years of experience in the digital marketing industry and a journalism/ public relations background, Ashley brings first hand experience to inspire marketers around the world using unique content marketing and social media marketing tactics. Speaking both internationally and throughout the US, Ashley regularly teaches workshops and speaks at conferences like Pubcon, Digital Summit, Retail Global, and the prestigious SMS Sydney. Ashley has co-authored the best-selling book “The Better Business Book V.2” and is a contributing writer to industry blogs such as Search Engine Journal and AuthorityLabs. Follow Ashley on Twitter at @AshleyMadhatter. Early Bird member tickets start as low as $20! Prices go up on November 7th, so get ‘em early.